When it comes to sound pollution, we lack awareness. A majority of the population aren't aware of the health hazards that are the result of the sound pollution. It affects both the mental and physical health of an individual. We should be very careful when it comes to the health of the children. Sound pollution can affect the mental development of the child. Before we discuss, how do you soundproof an existing wall, it's important to understand "why do you soundproof an existing wall?". As per the reports published by the WHO, traffic noise in western Europe is responsible for the loss of one million healthy life years per year. The research suggests that there is proper evidence about the relationship between environmental noise, and its ill effect on health. The environmental noise pollution can lead to a cardiovascular problem, annoyance, insomnia, cognitive impairment etc. How Do You Soundproof an Existing Wall? Most of us rarely take sound pollution as serious. A thought follows across our mind that its just a sound, and it can never kill us, right? Whereas other pollutions are decreasing, sound pollution is increasing at an alarming rate. You may not believe, but it's fact that human ears never sleep, and even though we are sleeping our ears are at work. Researchers have found that people living near the railway station or airport are more prone to a headache, interrupted sleep, and minor accidents. Sometimes, you would have definitely experienced tiredness even after 8 hours of sleep. Continuous noise irritating and unwanted noise entering your ears can accelerate the stress level which can lead to an increase in the cortisol level causing an increase in blood pressure and heartbeat rate. We can't deny that sound is an important part of our life, but at the same time, when it becomes noisy, it starts affecting your physical and mental health. The source of the noise plays a significant role when it comes to annoyance. You can see in the graph that aircraft and road traffic are the extreme source of annoyance, followed by railways and industrial. The chart highlights the fact that aircraft noise is definitely an extreme source of annoyance. The graph tells us about the association between noise annoyance, depression and anxiety. An extreme level of annoyance can lead to severe anxiety and depression. The research was done on the people living in the vicinity of Frankfurt Airport. The study highlights that noise annoyance is strongly related to the high degree of anxiety and depression. Compared to other sources of noise annoyance, aircraft noise was the prominent one, affecting more than 50 percent of the sample population with extreme annoyance level. Nearly one in six men and one in four women experience depression in their lifetime. The ratio of women to men when it comes to anxiety is 2:1, the percentage of women experiencing anxiety is twice as compared to men. Some of the common reason for anxiety and depression are living alone, low economic status, lower education level. Now, folks, you have the reason for soundproofing a room, a wall, and an apartment. How do you soundproof an existing drywall? I will talk about the way I have done soundproof my wall after construction. Trust me, it's working fine for me. It's very simple and not time-consuming also. I simply build a wall inside over the existing wall. Step 1: Install soundproofing material on the wall from where the sound is coming. Step 2: Using MLV between the drywall layers can significantly reduce the noise. Step 3: You need to use acoustic caulk at all the places on the wall from where the noise is seeping. Step 4: Last but not least, you need to incorporate sound panels to not only improve the quality of sound but to also prevent it from traveling in the space. How to soundproof an existing plaster wall? In case, your apartment has plaster walls, then you are lucky indeed. Half of your work is already done. Trust me, plaster walls are great sound stoppers. In one of my apartment, all the walls are plaster walls. I was expecting a natural soundproof for my room but these walls didn't meet my expectation. So, I did just a couple of changes and things start working fine for me. Just follow these simple steps and see the difference. Step 1: Check for any hole or seep in the wall. Step 2: If a hole or seep is present, fill it with soundproofing materials. Step 3: In case there are too many holes, then glue MLV to the plaster wall. Step 4: If still, you are not satisfied with the soundproofing, then you can build a layer of drywall around the plaster and fill it with soundproofing materials. It's always important to find the source of the noisy sound and then we can discuss and decide on the solution accordingly. How to soundproof a brick wall? Brick walls are dense so it will not allow the sound to penetrate easily. Trust me, these walls work great when it comes to blocking sound. I have personally experienced it. However, there is a problem. Since these walls don't allow the sound wave to penetrate. These sound waves will bounce back and will definitely make your room more noisy and irritating. Suspend the acoustic panels from the ceiling. Cover the wall with acoustic tiles. Build a layer of drywall. How to increase soundproofing of an existing wall? You can consider these simple steps, though it will be wrong to say that by following these steps your room will be hundred percent soundproof, you can find a significant reduction in the noise. I have personally applied these steps to one of my clients. It worked and the outcome was significant. 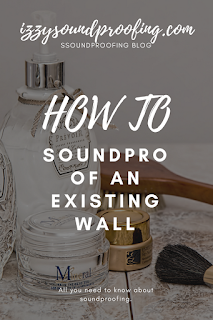 In most of the cases, you really don't need to do a lot of construction or changes when it comes to soundproofing a wall or a room. 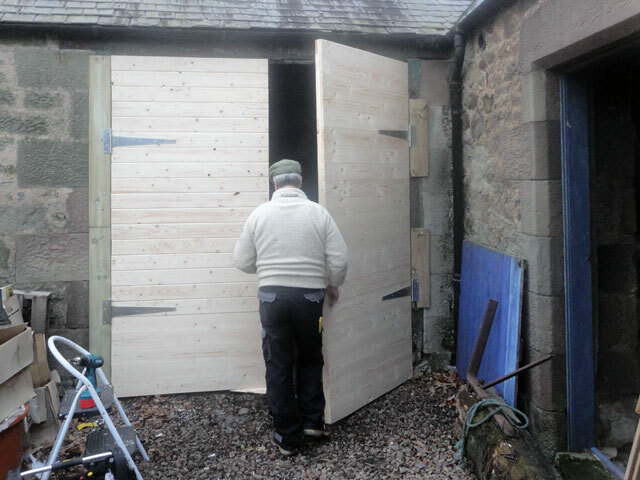 By using some of the soundproofing materials in the correct way can make all the difference. 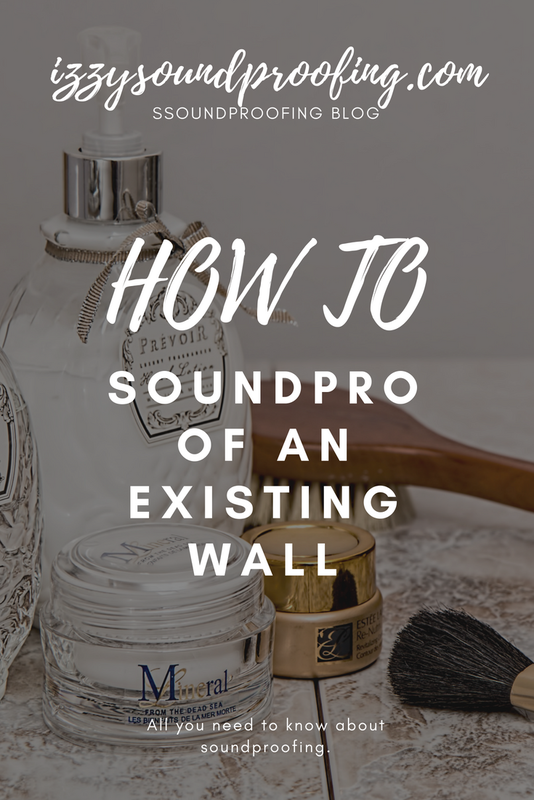 In case you are one looking for increasing the soundproofing of an existing wall, then definitely you are at the correct place. Over a period of time, I have observed that acoustic wallpapers can reduce the noise by up to 60 percent in most of the cases. At times, even the reduction of noise can go up to 85%. These wallpapers are available in large rolls and can be attached to interior walls just like traditional wallpapers. 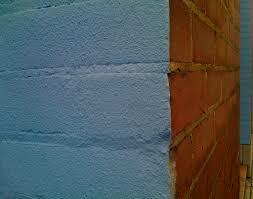 Applying acoustic paints on the existing walls can reduce the noise by up to 25%. The constituents of acoustic paints are sound-absorbing resins, fillers, and hollow ceramic microspheres. Mostly, I recommend two layers of paints for optimal results. The paint dries very fast and has superlative sound dampening characteristics. Add a layer of drywall to the existing wall. Depending upon your priority, you can set decide on the thickness of the drywall. 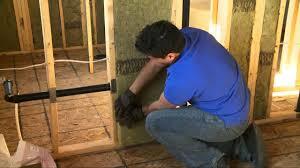 Higher thickness and mass leads to a better soundproof wall. I will recommend you to use Green Glue, a constraint membrane that converts sound energy into heat, between the layers of the drywall for the best result. In case you aren't ready to reduce space in your room, then the best option is insulation. You have to blow insulation in the interior space of the existing walls. 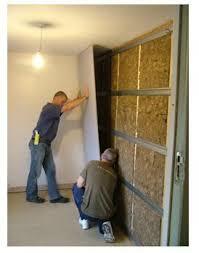 By doing so, you can improve the soundproof quotient of the existing wall. Though the process is quite simple it needs specific pumps and machines to first dig a hole in the existing wall and then pump in the insulating material. I will recommend you to use fiber insulation, in case you are staying in a wet geographical region. If you have small children in your home, then, definitely go for cellulose insulation-environment safe and non-toxic. There are many options available in the market but these two insulations have worked for me. Check out some of the handpicked articles. All you need to know before you start soundproofing a room. I have simply shared my experience, and I can assure you that these steps will definitely work for you since it has worked for me. Let me know your feedback in the comment section.